I used my Gypsy to weld/make a card using the Blackletter cartridge. I cut an a2 sized card, sized the polka dotted paper at the same size to cover up where I welded the two images, and then I sized the green and white striped layer a little smaller (I am not sure of the exact measurements). I used Doodlecharms to cut the snowman at 3 inches and the snowflakes I think where at 2 inches. 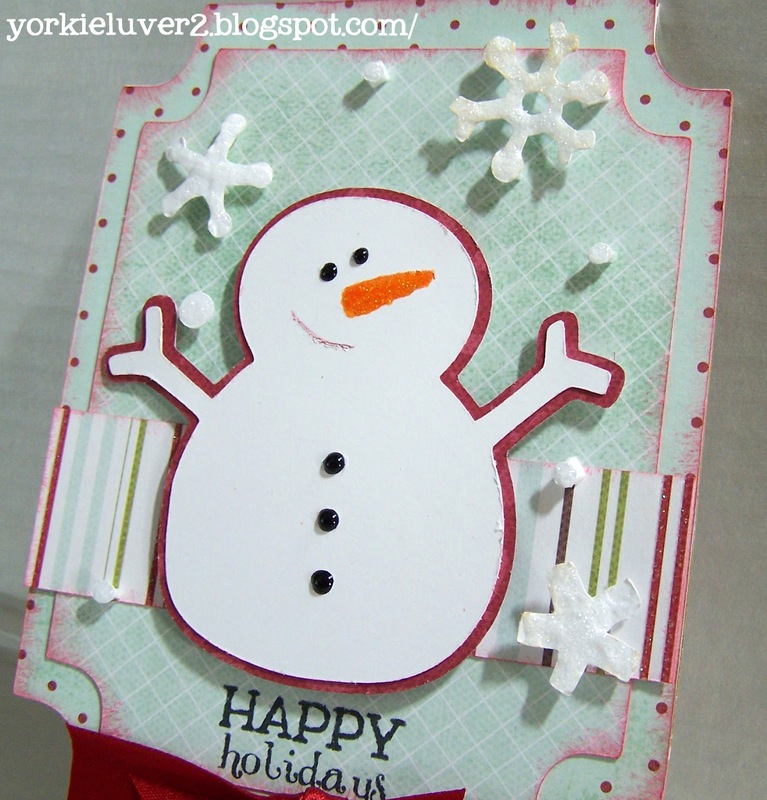 I used pop dots to add dimension to the snowflakes and the snowman. 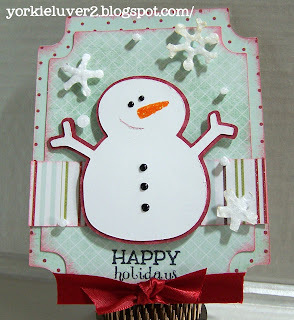 I inked the edges using Distress Ink in worn lipstick, stamped the sentiment and used stickles to color the nose on the snowman and the snowflakes. 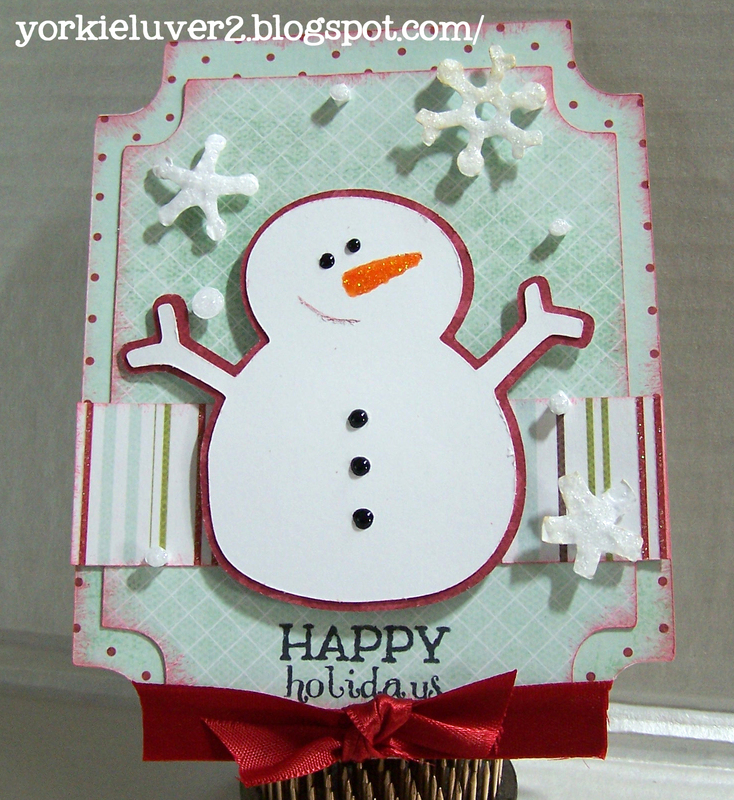 I am entering this in the My Craft Spot Design Team and My Creative Time Throwback Thursday Challenge Episode 252. This is adorable! I love your lil' snowman! So cute. Great job!! Great card! Best of luck. I'm a hopeful too. What a sweet card! That little snowman is so cute! Good luck with the My Craft Spot Design Team call! I love the fun shape of your card and your snowman is adorable! Good luck Amy! This card is so cute! !